A quick stop along the national road trip which was well timed with Jonas’s birthday led us straight into Las Vegas for a fun 3 nights. Cheaper accommodation and lower stakes makes this a fun place for tourists to try out their luck with gambling. 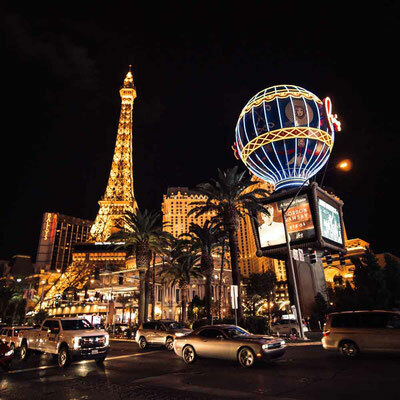 Take a walk to see the famous Las Vegas Strip at night time to see it at its best. Full of shops, restaurants and surrounded by the extravagant casino hotels. Some will take you back to the Egyptian pyramids while others are princess palaces – it’s surely a crazy place to see. By far more a more fun and comfortable experience to gamble. 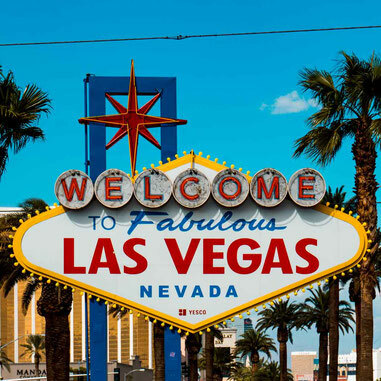 The stakes are lower and there’s so many casinos to try right next to each other. As mentioned before it’s a crazy place full of whacky and unexpected things to see at every corner. Make sure you check out the light show at ‘The fountains at the Bellagio’ that occur every 15-30minutes each night. The strip hotels are famous by default for their location and unique designs but when it comes to value for money you’re better off in downtown. 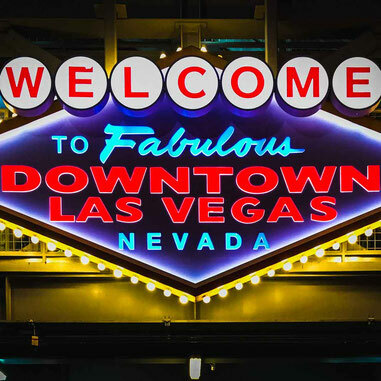 We spent more than half the price downtown in comparison to The Strip with far better amenities and bedrooms. Definitely see both areas, but you’re better off staying in downtown if staying for a while. Gamble in downtown for lower stakes and more freedom to play the games without the big gamblers around! Free drinks for the players. Save the money on the expensive cocktails and keep an eye out for the waitresses serving the players. Whilst playing and betting money you are given free drinks. Look out for the happy hours and special deals for food and drink. We managed to get burger, fries, salad and an alcoholic drink for $5.05 each. Bargain! Note: Double check with the venue that the deals are on before you purchase, they may try to catch you out!